It was over forty years after the death of Sir Humphry in Geneva on 29th May 1829, that a statue was finally erected in his memory. However, there had been earlier initiatives to commemorate him and in November 1861 a committee comprising amongst others, Lord Brougham, Sir Charles Lemon, John St Aubyn, John Rogers (of Penrose) was appointed to organise this scheme. The Committee decided that Lescudjack Hill was the most appropriate site for a monument as it would then be seen for many miles and across Mounts Bay. Mr John Rogers who owned the land agreed for the site to be used. 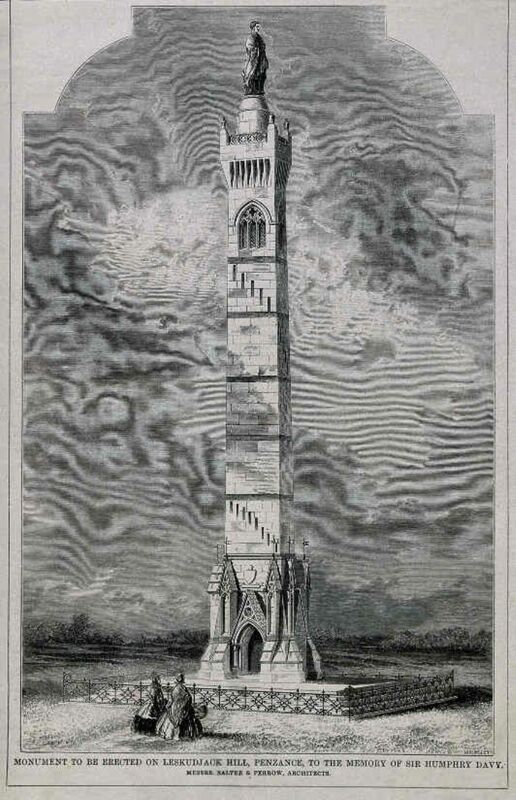 A competition for the monument was launched and designs from ten architects were received. On 14 March 1862 a public meeting was held in the Guildhall to look at the submissions and the winning design was by Salter and Perrow. Various people had already pledged their financial support it was agreed to launch a general appeal in the town to pay for the monument. The meeting closed with the agreement that the scheme should go ahead. It is unclear what happened to this ambitious scheme other than that it fell by the wayside. 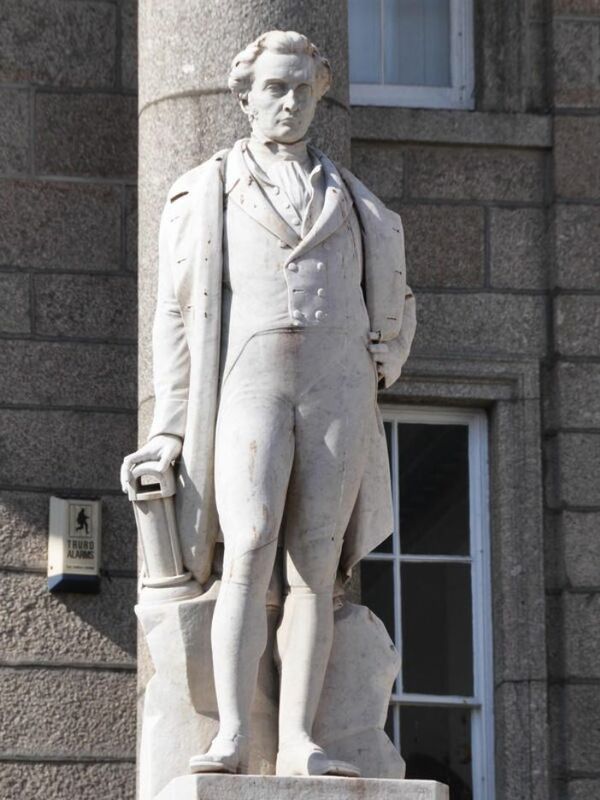 It was another ten years before the far more modest statue to Sir Humphry was erected at a cost of £600 and paid for by the people of Penzance. Why is the third button on the right hand side of his waistcoat missing?